InC - Marvel's Guardians of the Galaxy Vol. 2 - 20 Sets of Movie Premiums to be Won! Home / Everything Else: Contest / Marvel's Guardians of the Galaxy Vol. 2 - 20 Sets of Movie Premiums to be Won! 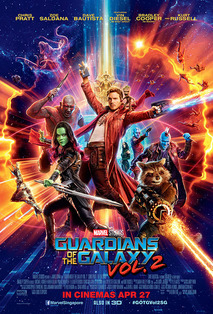 Marvel's Guardians of the Galaxy Vol. 2 - 20 Sets of Movie Premiums to be Won! Watch 'MARVEL'S GUARDIANS OF THE GALAXY VOL 2' on CATCHPLAY ON DEMAND from 22 August 2017 to 10 September 2017 and stand a chance to win exclusive movie merchandise! 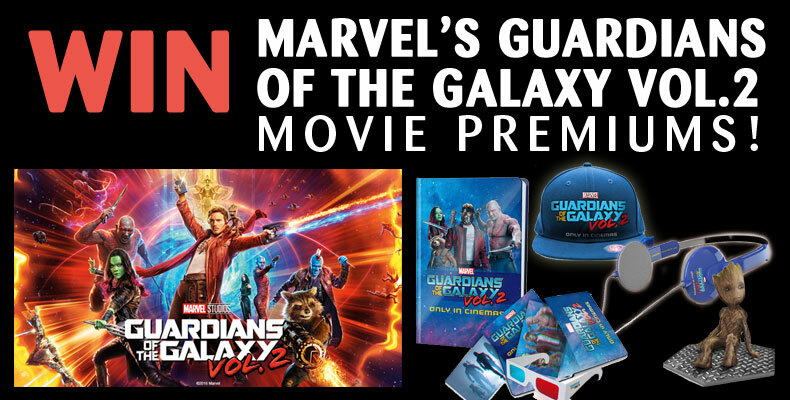 Stand to win a 'Marvel's Guardians of the Galaxy Vol 2' movie premiums pack! 20 winners will be selected. Winners will be notified via email by 18 September 2017. CATCHPLAY is an on-demand service for you to discover and watch movies. Its weekly updated library gives you a vast selection of movies from Hollywood blockbusters to art house films, anytime, anywhere. Download the CATCHPLAY app from Google Play, Apple Store, or go to www.catchplay.com/sg.